Ms. Andrea Takács is a Hungarian writer. She was born in Hungary in 1969. In 2004 she graduated from the Mantra College of Natural Siences in the Faculty of Parapsychology of Budapest. In 2009 she took a degree from Liberal Arts at the faculty of Modern Philology and Social Studies at Pannon University of Veszprém. In 2012 she earned her Master's from Human and Social Studies as a teacher and a teacher of Pedagogy. 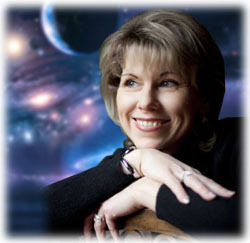 She has published 8 novels so far under the pen-name 'Andrea Weaver'. The subjects of her books, which are finding our inner strength, the world shaping events and the causes and effects, are approached from psychological, philosophical, anthropological and spiritual angles. Andrea Weaver was recognised and respected by the famous Hungarian writer Mária Szepes.